Looking at the world through heart shaped glasses! Coco Chanel famously said, "Before you leave the house, look in the mirror and take one thing off." Although I'm a fan of Coco and her interlocking C's I could never adhere to this style advice. For me, more is always more! Why not team a leopard print with heart shaped glasses, and a cat beanie and fuschia pink lipstick? Fashion is about fun, costume, dress ups and crafting an image you want to project to the world. And that image can change daily, depending of where you're going and who you might be meeting. "You have to look in the mirror and see yourself. If it feels good, then I know it's for me. I don't dress to be stared at, I dress for myself." My husband has long ago given up trying to make sense of my outlandish ensembles. He lives in his RM Williams boots, favourite jeans and a polo shirt. So I encourage you to also throw caution to the wind when it comes to fashion. There are no rules. For me, if you wear your combination with confidence, you will look sensational! 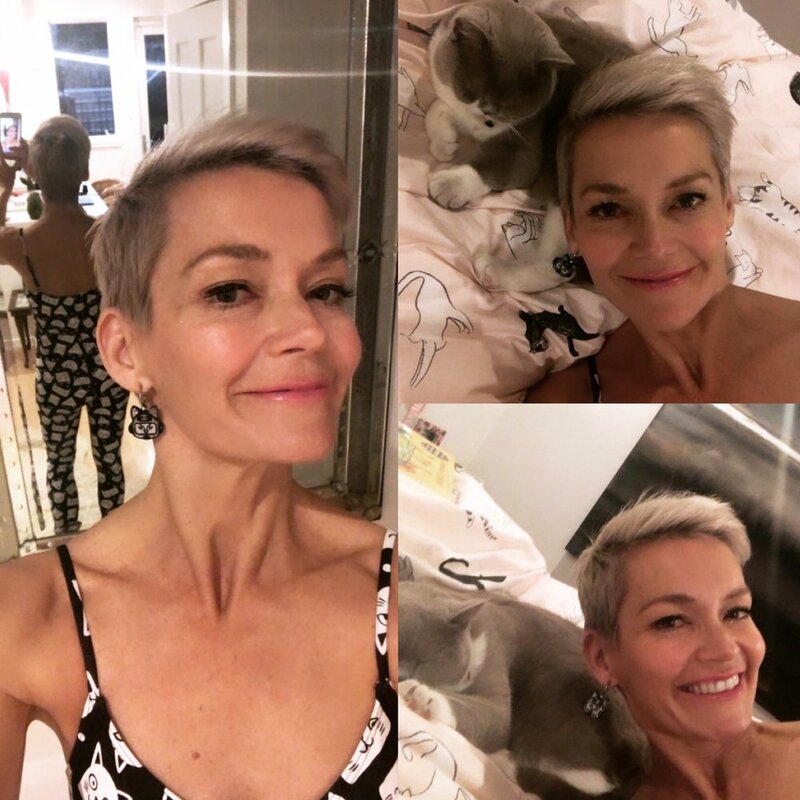 Recently I was lucky enough to team some Chanel cat earrings with my cat unitard (which you can also buy through my website), a combination that is winning for school drop off, school pick up, canteen duty, supermarket shopping or the perfect 'walk and talk' with a girlfriend outfit! I'm sure Coco would approve. 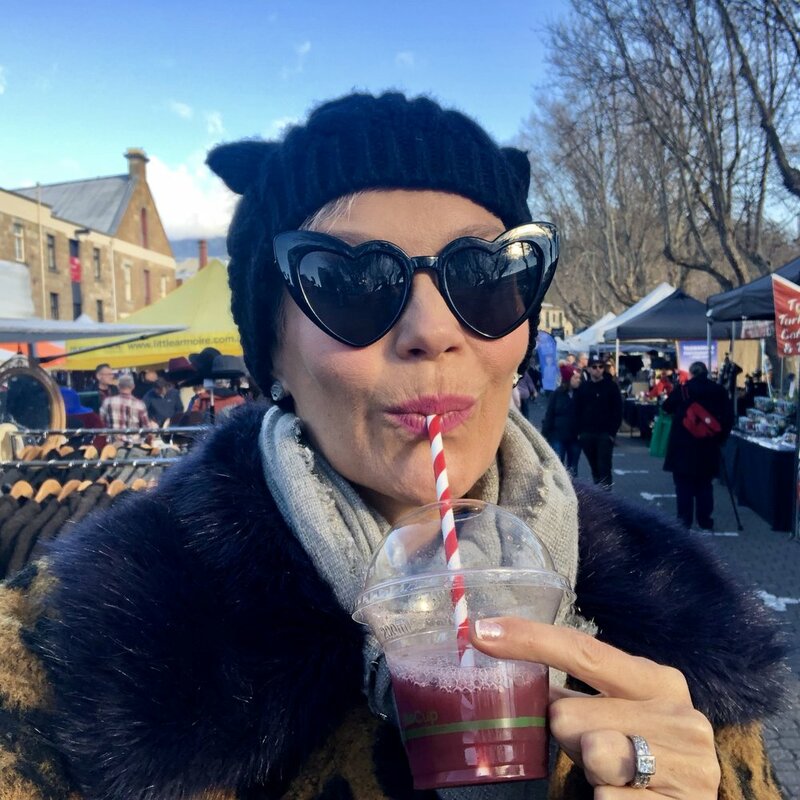 Normally Chanel earrings are out of my budget, but I recently discovered Designer Dress Hire Australia, an online business that rents designer goods! I think Coco and Iris would approve! I'd love to hear about your favourite outfits and style icons!